Girnar Parikrama is a unique annual religious walk to the temples located in Junagadh forest in western Gujarat in India. 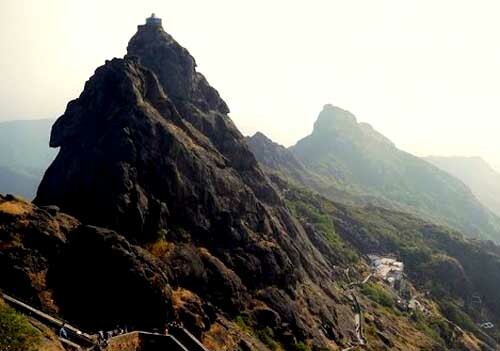 Girnar Parikrama 2019 is from November 8 to November 12. More than 100,000 pilgrims participate in this 36-km religious walk through tough mountainous terrain and forest. Girnar Parikrama begins on the Ekadasi day during the waxing phase of moon or Shukla Paksha of Kartik month and five days later on Kartik Purnima day. People from different caste and community walk in unison in this unique Parikrama, which begins from Dudheshwar Temple at Bhavnath in Junagadh. The first part of the trek includes passing through dense forest and climbing a hill and coming down it. The first spiritual spot is the Zina Bava Ni Madhi and Chandra-Mauleshwar Temple, which is about 12 km from Bhavnath. The next temples in the Parikrama include a Hanuman Temple and Suraj Kund (pond) at Malvela which is 8 km from Zina Bava Ni Madhi. The next trek from Malvela to Bordevi is the toughest trek. It is an 8 km trek and includes climbing and coming down a steep mountain named Madvela Ni Ghodi. At Bordevi there is a famous temple dedicated to Mother Goddess and the place is surrounded by forest and there are ponds and brooks here. From Bordevi another 8 km trek takes the pilgrim to Bhavnath and this concludes the Girnar Parikrama.